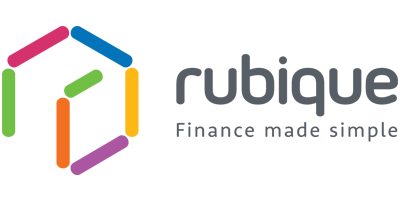 Rubqiue is an online marketplace for financial products that provides a technology enabled end-to-end solution to financing needs of Individuals & SMEs. One of the largest financial portals, it offers a comprehensive range of financial products and services from multiple Banks & FIs, through a cutting-edge technology platform. The online portal facilitates the best deals across a wide range of loans such as Personal Loans, Car Loans, Home Loans, Business Loans, Loans Against Property, Credit Cards, Healthcare and Construction equipment financing etc. 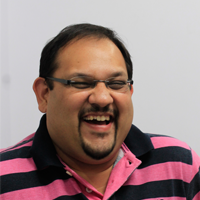 Based out of India’s financial capital Mumbai, Rubique was incorporated by banking veteran Mr. Manavjeet Singh along with his partner Mr. Sandeep Nambiar on October 2014, to bring every borrower and lender on a common platform, which so far never existed. The duo introduced a tech-led lending solution which is unique in terms of its matchmaking algorithm and direct integration with Financial Institutions’ lending underwriting systems. With this technology solution, the model is focused on disbursement rather than mere lead generation allowing the customer to get the best deal in the quickest possible time while lowering the cost for customer acquisition for the financial institutions. With a unique technology-driven model, it aims to tap all customer segments be it the digital savvy or the traditional Indian customer. In just one year of its existence, Rubique has evolved from being a mere competitor to web aggregators getting instant approval to going beyond web aggregation and emerging as one of the very few players in the FinTech disruptive lending space. The company has an affiliation with 60+ leading financial institutions such as Au Financiers, Bajaj Finance Ltd., Fullerton India, Hinduja Leyland Finance Ltd., ICICI Bank, Indiabulls Housing Finance Ltd, Induslnd Bank, Manappuram and Reliance Commercial Finance etc. to offer a wide range of choices for its customers. On the back of strong collaborations with these associates, Rubique has one of the largest integrated networks of affiliations in the Indian online financial marketplace, ensuring a hassle free customer experience from start to end of the process. Aiming to be the country’s largest online marketplace for financial products, the portal has created a strong foundation with the help of a team of 68, holding a cumulative experience in financial services & technology and working relentlessly to make it a finance simple & accessible. Currently operational only in Mumbai, Delhi, Pune, Kolkata, Hyderabad & Bangalore; Rubique will soon embark on an expansion spree with offices in other locations.